Spectrasonics has announced that the world premiere of its highly anticipated new bass virtual instrument "Trilian" will be in Paris, France on October 22, 2009. The event will take place at the IRCAM Facility (Institut de Recherche et Coordination Acoustique/Musique) in central Paris. Although the event is free, seating is limited and attendance is set by RSVP to a special webpage, first come first served. There will also be a raffle at each of the two sessions, 3pm and 6pm, where a copy of the Trilian Total Bass Module software will be given away free to one of the lucky attendees. Representatives from Spectrasonics will be at the event presenting the live demonstration and answering questions afterwards. 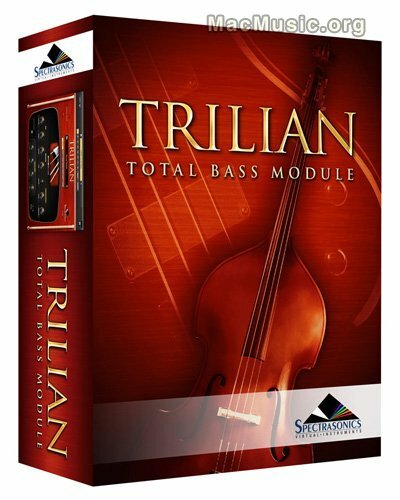 Spectrasonics' Trilian Total Bass Module is the successor to its award-winning Trilogy bass module. The virtual instrument has a much larger core library and features highly detailed new acoustic, electric and synth basses, as well as enhanced versions of the classic Trilogy sounds. Sporting a brand new user interface with numerous software innovations, Trilian is the first 64-bit native software based on Spectrasonics STEAM Engine and is the first virtual instrument to feature full library integration with the company's flagship Omnisphere synthesizer. Trilian is set to be released October 26, 2009, the MSRP is $299US / 229 Euro. All Trilogy customers can upgrade to Trilian for $99US through the Spectrasonics website. There is also a special free upgrade offer (excluding shipping, handling, or international customs charges) for Trilogy customers on the Intel-Mac platform and for customers who purchase Trilogy in 2009. Upgrades will be available exclusively through the online Spectrasonics Techshop. • Raffle: One copy of Trilian per session will be given away free!